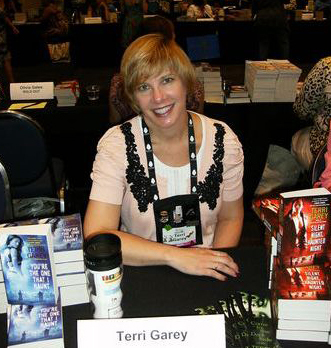 A Southern girl with an overactive imagination, Terri Garey writes award-winning and critically-acclaimed urban fantasy. Her novels have been described as "smoldering" by Publishers Weekly, and "sultry and upbeat" by Library Journal. Even though she's a big scaredy-cat who can't watch horror movies or visit haunted houses, she loves moonlit graveyards, moss-covered headstones and the idea that life goes on even after it's over. You can visit her on the web, friend her on Facebook and occasionally find her on Twitter. Represented by Spencerhill Associates, Ltd.